Our collection comprises Amazing ART Cards and Amazing EVERY DAY Cards. Please click on the left menu bar to see all available designs. 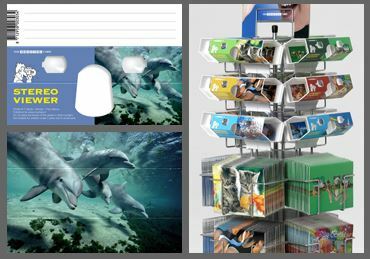 A set of four displays are especially designed for The Amazing Cards because we believe it is of the utmost importance that your customers can see all designs in full stereoview. Please click on the left menu bar to see all Displays. The Amazing Card Company works with specialized agencies in various countries. If you are interested in distributing The Amazing Card in your country please checkout our Representatives page and contact Jaap Boon of The Amazing Card in The Netherlands. You will find all contact details at the bottom of this page.